The DairyQuant B3 from Q-Interline is based on the latest FT-NIR technology from ABB Bomem, the world leader in FT-NIR technology. The equipment combines exceptional performance with low cost of ownership. 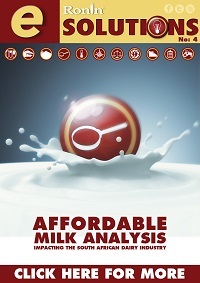 TThe DairyQuant B3 has been developed for analysis of heterogeneous products, e.g. cheese, but many other types of products can be analyzed using the DairyQuant B3. The DairyQuant B3 is the result of combining world class technology with Q-Interlines extensive knowledge and experience in the field of FT-NIR analysis.